This crop top adds ultimate sass to any attire. 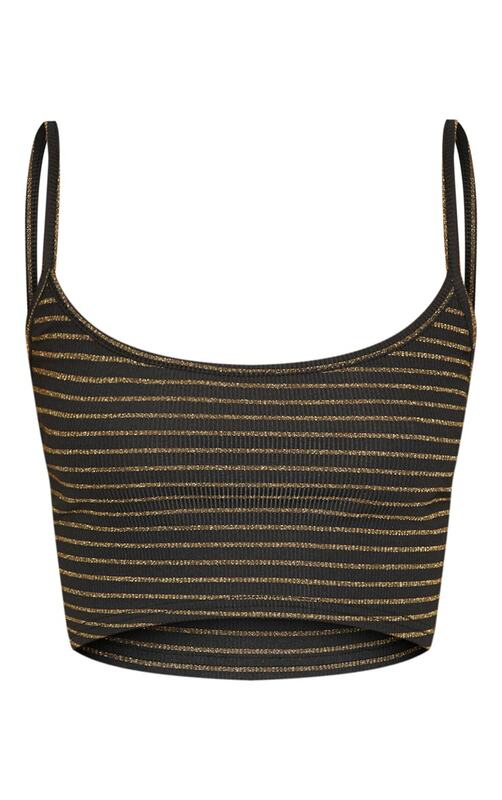 Featuring black and gold glitter stripes with straps. Wear under a blazer, matching pants and a statement belt for a boss girl look.